When bonding thin film components to carriers and housings with epoxy, the success of the application depends not only on the strength of the epoxy, but also on how well the epoxy adheres to the surface to which it is being applied. In most cases, the strength of the bond relies on the epoxy’s ability to mechanically “key” into clean, dry, mating surfaces. CLEAN— Mating surfaces must be free of any contaminants such as grease, oil, fingerprints or mold release. Contaminated surfaces should be cleaned with solvents or plasma cleaning to ensure an atomically clean surface. Plasma cleaning should ideally be performed immediately before epoxy bonding. Follow all safety precautions when working with solvents. DRY—All surfaces to be bonded must be as dry as possible for good adhesion. If necessary, accelerate drying by using filtered air or nitrogen gun or short oven bake. Backside burnishing results in a backside metallization surface that has greatly improved adhesion over standard metalization schemes. 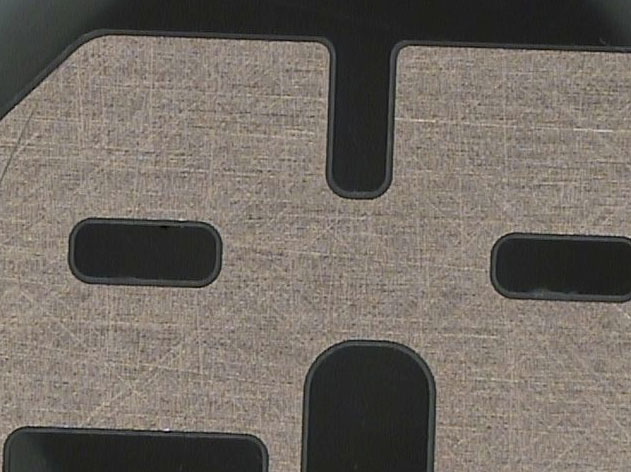 This surface modification technique provides a cross-hatched 3-5 microinch surface finish that allows the epoxy to attach itself securely and key into the texture of the surface, therefore reducing delaminating and peeling issues. This method of attachment has proven to be effective with substrates attached to carriers or metal housings. Backside burnishing treatment is carefully controlled so it textures the gold surface but does not reduce the gold or reduce its thickness so electrical performance is unaffected. 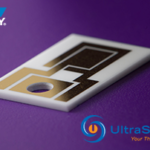 UltraSource, Inc. now offers this cost effective backside treatment process to all customers wishing to attach thin film components with epoxies and improve the adhesion and reliability of the bonding. This surface treatment will often result in improved adhesion and eliminate the need for customers to “roughen up” the surface of the components themselves before epoxy bonding. Contact UltraSource for further information on this unique backside metallization process or to request free samples so you can evaluate the process directly.